Adam Levine for Men is a perfume by Adam Levine for men and was released in 2013. The scent is fresh-citrusy. It is being marketed by Palm Beach Beauté. This is not your average celebrity scent. That is not necessarily a good or bad thing though. It is fruity from start to finish. I get grapefruit and passion fruit throughout with average longevity. Awful! Smelled okay on the paper test strip but once sprayed on the skin it smelled almost exactly like "Eva" by Eva Longoria for women. Sour with that wretched "cat pee" smell. The women's version is better but even it is nothing special. I was really looking forward to this release and unfortunately was left completely disappointed. I also find the bottle design unflattering and tacky. Not worth the price tag. Save your money and buy something else! 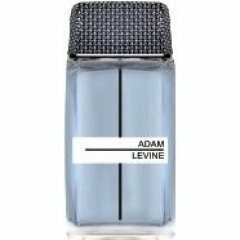 Write the first Review for Adam Levine for Men!